Garmin offers ADS-B solutions for aircraft equipped with TCAS II (traffic alert and collision avoidance system) and aircraft not equipped with TCAS II. For business and commercial operators looking to satisfy the ADS-B “Out” equipage rules as quickly and cost-effectively as possible, Garmin has tailored a comprehensive suite of approved ADS-B solutions that leverage existing cockpit avionics to provide an easy, efficient path to compliance. As the industry leader in fielded ADS-B solutions, we help operators meet the complex demands of NextGen air traffic modernization initiatives around the world. Through select members of the Garmin authorized installation center network, we’re able to offer all-inclusive packages such as our GTX™ 3000 Mode S Extended Squitter (ES) transponder paired with our GDL® 88 ADS-B datalink. 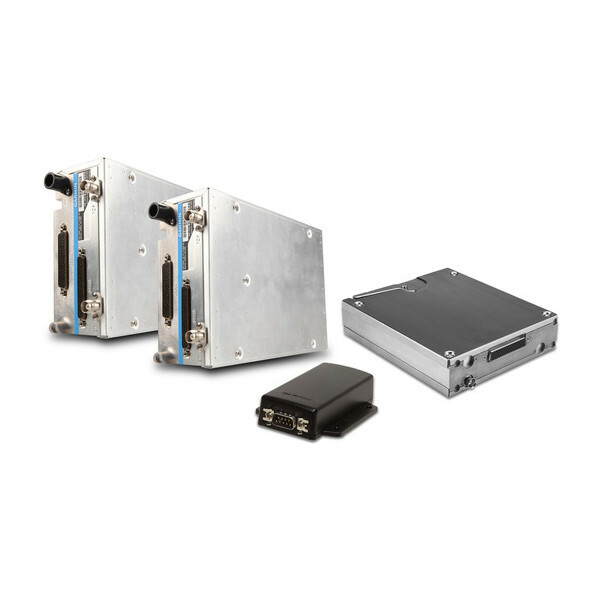 These packages provide seamless integration between existing equipment such as TCAS systems, transponder control heads or radio management units to minimize in-cockpit modifications, all while maintaining familiar interfaces and functions. Leveraging the GDL 88 datalink’s internal WAAS/SBAS receiver, the GTX 3000 broadcasts DO-260B compliant aircraft identity, state and intent information to the ADS-B ground station network for relay to ATC and other ADS-B “In” equipped aircraft in the airspace. The GDL 88/GTX 3000 upgrade package is approved and compatible with a variety of TCAS II interfaces and cockpit controller/display combinations. As a bonus, because this dual-link solution offers both ADS-B “In” and “Out” capability, flight crews can use the technology to access subscription-free U.S. weather and datalink traffic capabilities available through the ADS-B network. The weather content available includes location-specific aviation weather reports, forecasts, graphical NEXRAD imagery, PIREPs and other valuable flight data services. Plus, on the traffic side, the system’s dual-link capability means that pilots are assured of seeing other ADS-B “Out” broadcasting traffic in their vicinity, regardless of ground station coverage. By streaming this traffic and weather information onto an iPad® or other compatible portable electronic device (PED) via one of our Flight Stream wireless gateway devices — using flight apps such as Garmin Pilot, ForeFlight Mobile or FltPlan Go — pilots can access these safety-enhancing capabilities without the need for costly display or system upgrades on the flight deck. While your aircraft is in the shop being fitted for ADS-B capability, it may make sense to consider upgrading older TCAS equipment to a newer, Change 7.1 compliant TCAS II system such as our GTS™ 8000. In this scenario, when paired with our GDL 88 datalink and GTX 3000 ES transponder installation, the GTS series of ADS-B enhanced active traffic systems provides the most complete traffic picture available to pilots — showing targets for all proximate aircraft, including even those not ADS-B “Out” equipped. Featuring our exclusive CLEAR CAS™ (Correlated Location Enhanced ADS-B Receiver Collision Avoidance System) technology, the GTS 8000 system combines both active and passive surveillance to correlate target data and pinpoint traffic threats. For added capability on select aircraft, owners and operators now have an option to upgrade to our GTN™ 750/650 series of touchscreen navigators while their ADS-B equipment is being installed. The GTN upgrade provides a GPS navigator with multifunction display capabilities, including high-resolution terrain mapping, graphical flight planning, frequency lookup, georeferenced electronic charts, traffic target surveillance, multiple weather display options, taxiway diagrams, autopilot interface, full WAAS LPV approach capability and other high-value technology options to help pilots make quicker, smarter, better decisions in all phases of flight. With more fielded ADS-B solutions than any other brand in the industry, Garmin leads the way in the development and deployment of ADS-B technology. We have the systems and the choices to ensure you get the most from your ADS-B investment. In fact, even if your aircraft isn’t included on our solutions by aircraft list, we can often tailor our solutions for your aircraft by using existing approvals. Please contact us for more information on the equipment solutions that make the most sense for your aircraft. With Garmin ADS-B equipment, you’ll also gain the extra peace of mind provided by a 2-year warranty backed by our award-winning Garmin product support team. And wherever you fly, you can count on us to keep you moving ahead with reliable service and field support at hundreds of locations around the globe. ADS-B from Garmin: It’s all about flying with confidence. ¹TargetTrend™ requires a compatible display. Please check your Pilot’s Guide for specific capabilities available on your display. Garmin ADS-B solutions have been successfully integrated with the below legacy flight decks and flight management systems (FMS). Garmin ADS-B solutions have been approved for installation via supplemental type certification (STC) on many popular business and commercial aircraft. Below are some of the aircraft for which our solutions are currently available. If you don't see your aircraft model or have further questions, please contact us via email: [email protected].